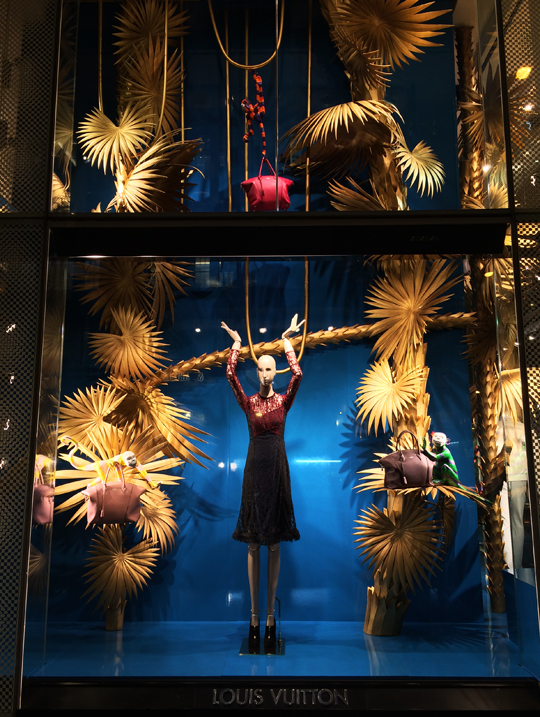 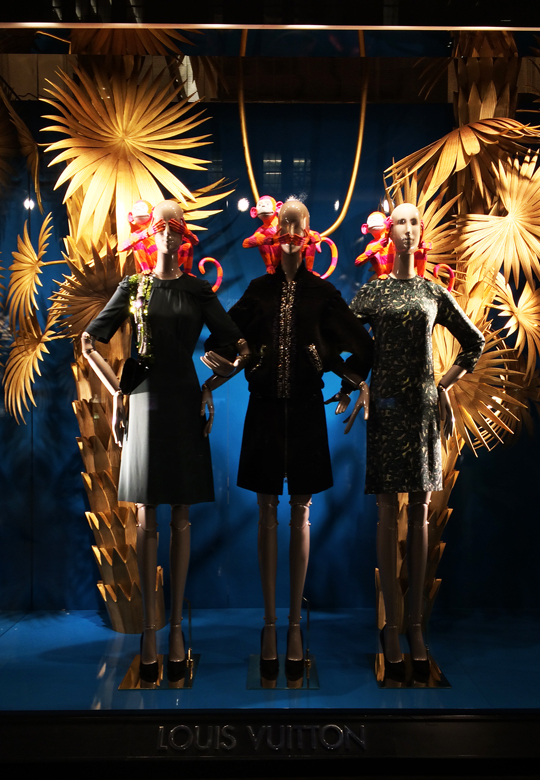 Last week, you saw Bergdorf Goodman's equestrian windows. 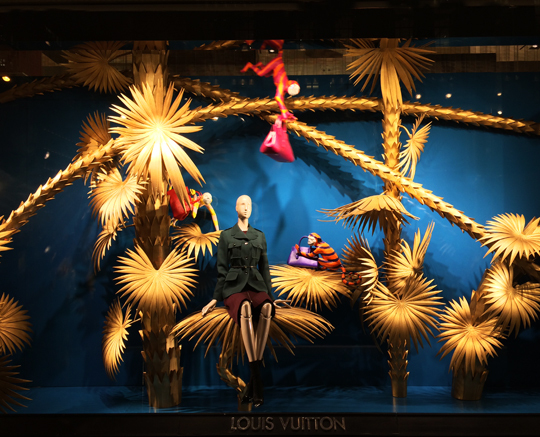 For this week, I present to you the full display at Louis Vuitton. 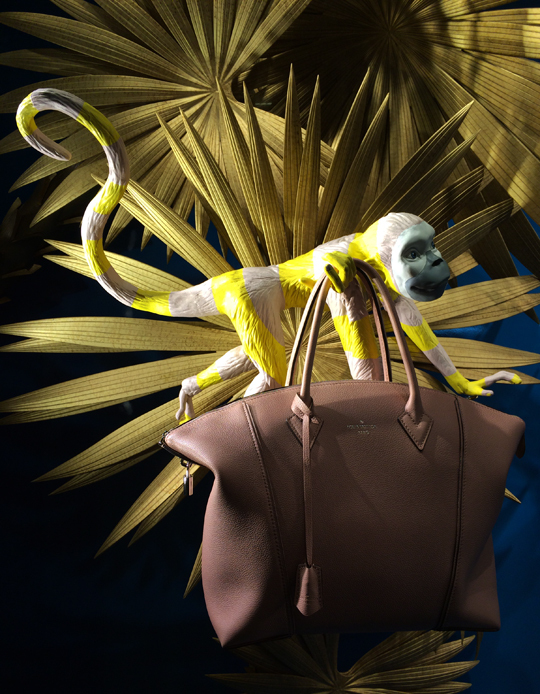 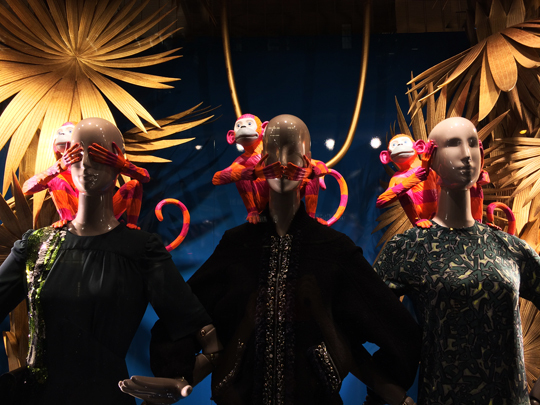 The NYC flagship on 5th Ave isn't monkeying around when it comes to monkey business. 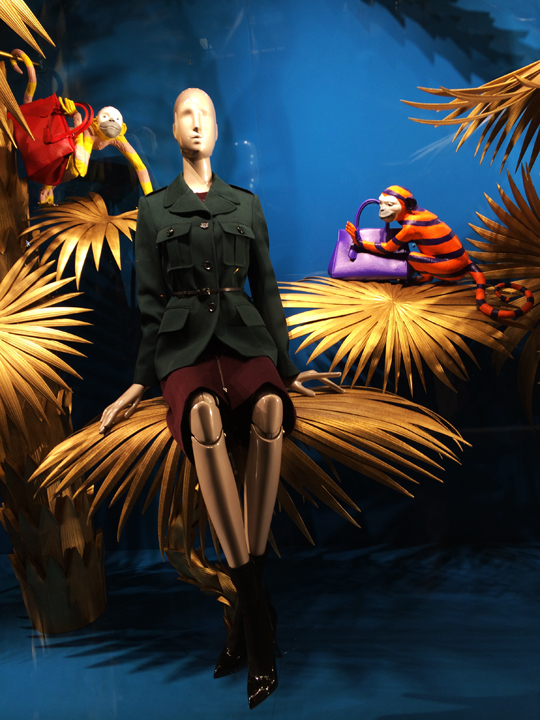 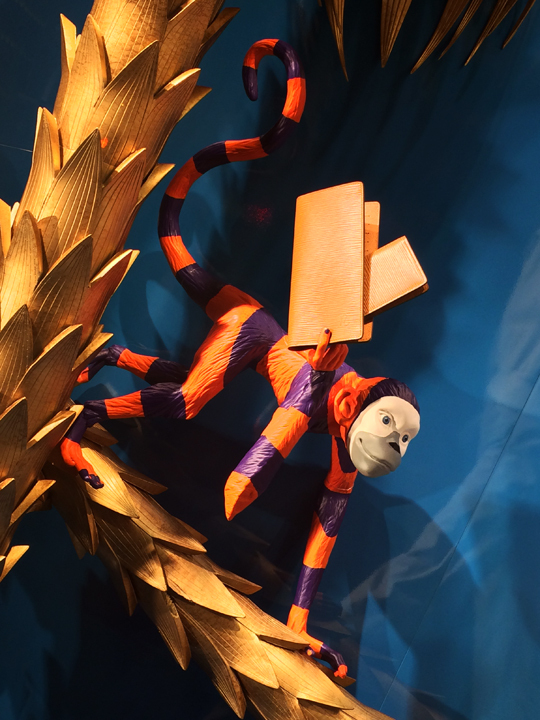 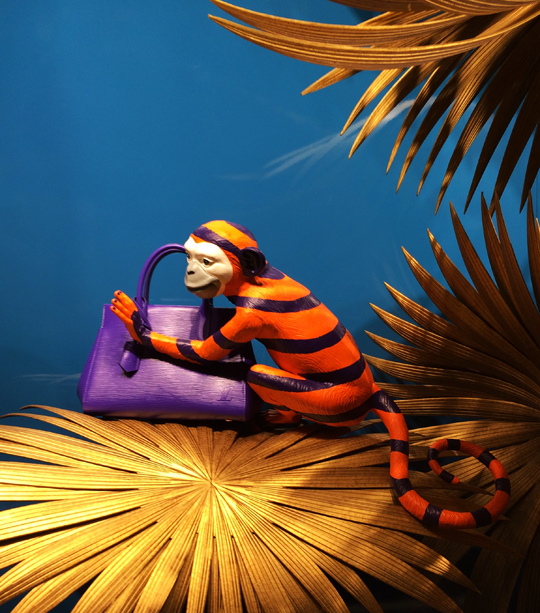 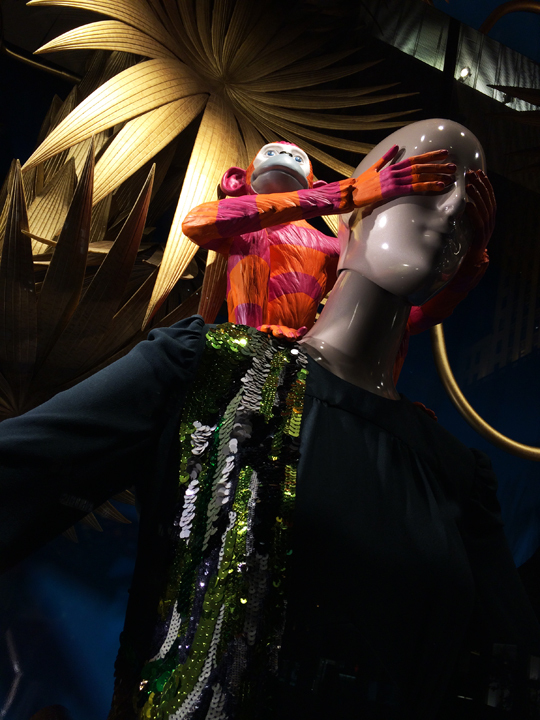 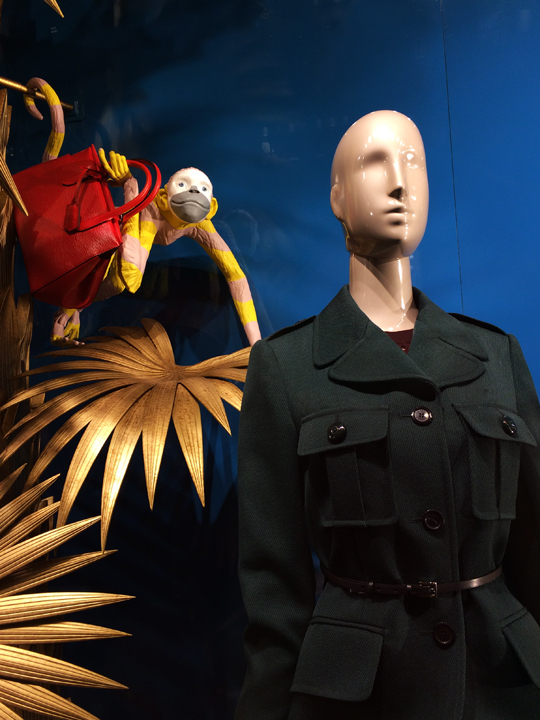 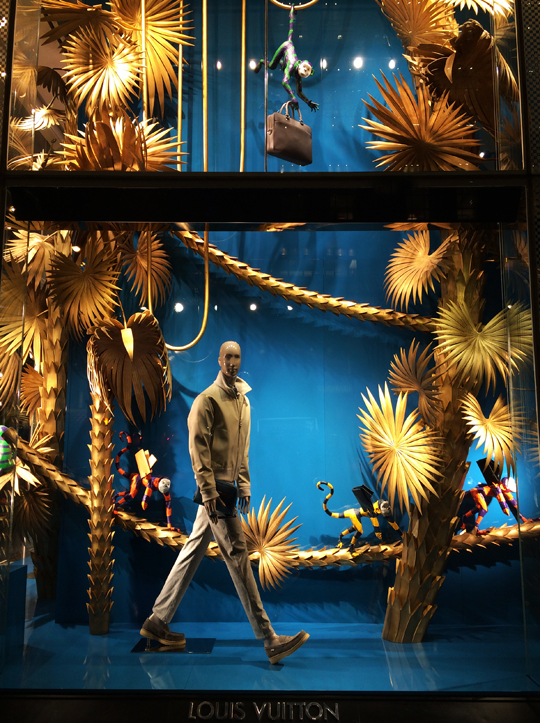 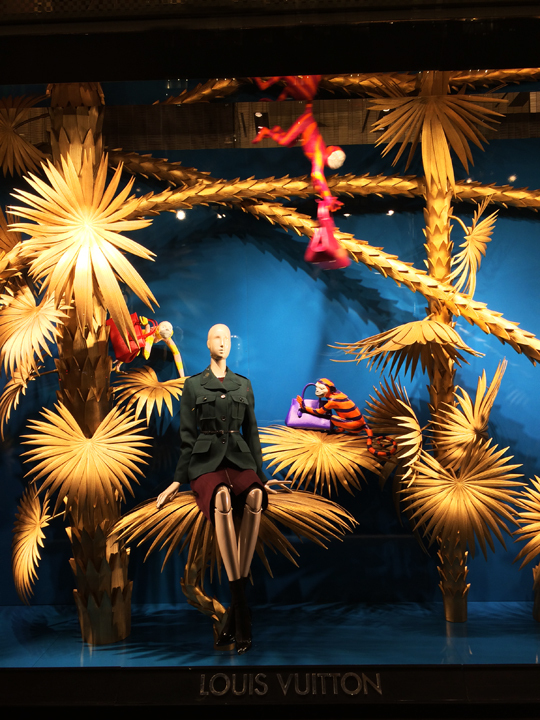 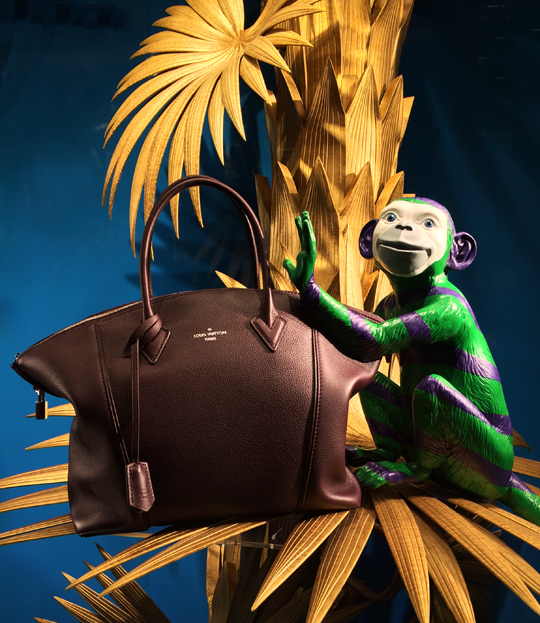 The French luxury giant decorated their tall storefront windows with adorable and colorful simians playing around in the backdrop of a tropical jungle. 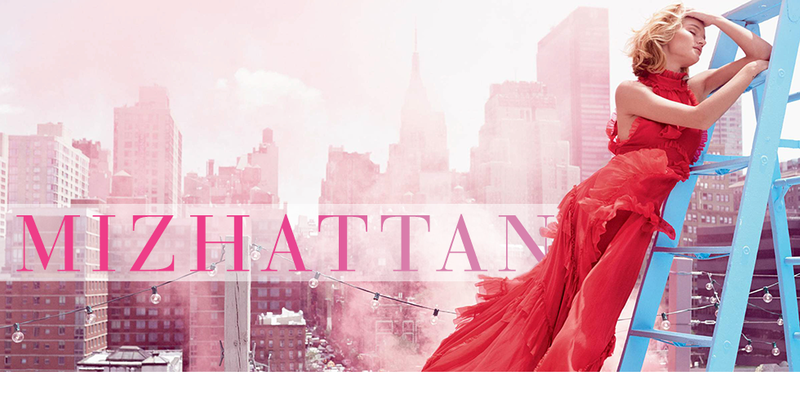 So, let's get into the swing of things, shall we?